A controversial citizen audit in Assam province of India, which is for the first time in 67 years, has raised severe tension among the Bengali speaking people of Assam, Bangladesh and mostly in the humanitarian field of the world fearing another disastrous crisis similar to the “Rohingya crisis”. In both cases the states, where those people are living since generations, have denied their legitimate existence. Which in turn has created one of the most notable humanitarian catastrophe in this century in Myanmar. Now the question is whether the so called citizen audit of Assam is going to make another problem like in Myanmar? Besides will it be another heavy burden on Bangladesh, when already the country is facing a hurdle solving the Rohingya crisis caused by Myanmar’s military government? The answer will come in time. But the current situation doesn’t show anything well neither for almost 4 million Bengali speaking people, mostly Muslims, who have not been enlisted in the audit nor for Bangladesh. But this situation hasn’t been created in a single night or it didn’t come out of the blue. 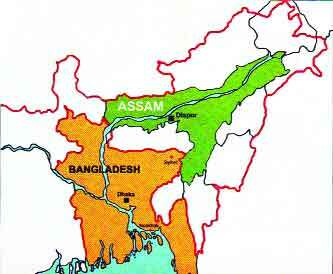 There is very close historic relation between Bangla and Assam. From history to present, both Bangladesh and Assam share many things common. In 1905, the British viceroy of British India, Lord Curzon announced the partition of Bengal where the eastern part was consisted of today’s Bangladesh and Assam province of India which separated the Hindu majority western area from the Muslim majority eastern one. Though the elite hindu class outraged on that issue depicting the policy as “divide and rule” policy, the middle class and deprived population of Eastern Bengal and Assam province welcomed the decision as it opened the door for new investment, new jobs, better lives and new hopes. In this issue, both Bengali and Assamese people’s political and economic interests met at the same point. When it comes about language and culture, Bengali and Assamese are the closest cousins with Indo – Aryan language root. Almost same alphabets, many undistinguishable customs, ancient history as well as political and economic interests should have brought the Bengalis and Assamese closer. But, the question comes in conscious minds that what are the reasons behind this issue when both Bengalis and Assamese can share same alphabets, same customs, same history, same literature, same lifestyle but fear to share the same land? What makes the Assamese students unions to protest for 6 years in a row to pressurise Indian government so that it takes action to stop the Bengalis from being majority in that area? Well, to find the reasons behind these we have to flashback in 1905 when Bengal partition took place. Due to creation of new jobs, there was an increase in the population of East Bengal Muslims, as they migrated largely into Assam in the period 1911-41. Though that doesn’t mean that the Muslims were alien in Assam. As Islam has had a history of more than eight hundred years in Assam, and today’s population is made up of a large number of local Assamese converts as well as descendants of Pathan, Mughal and Turk migrants of long ago. More of that this was seen as “internal migration” then from one province to another which, of course, legalise the existence of Bengali speaking Muslims in Assam. But from 1947, increasing number of Bengali Muslims migration was stopped after the subcontinent gained its freedom from the British rulers and two independent states were established on the basis of religion. Though the Muslim migration was stopped, a large number of Bengali speaking Hindus then had to left then East Bengal for India. This increased the Bengali speaking people’s number over the region at a dramatic rate. After 13 years of the establishment of the new state, Assam’s provincial government decided to announce “Assamiya (Assamese)” as Assam’s official language. But almost 26% of Assam’s total population who lived mostly near Barak valley and used Bengali as their mother tongue, regardless of their religious background, didn’t accept this decision. Even the tribals of the Valley who had become bilingual and adjusted easily to Assamiya, resented this forceful imposition. So the tribal people along with the Bengali speaking people started to protest and on 19 May, 1961 Assamese police and Assam Rifles fired upon the protesters which took at least 11 protester’s lives. This massive and bloody protest compelled the provincial government to declare Bengali as well as Bodo (mostly used tribal language) as official languages too. This declaration may be seen as a victory for Bengali speaking people or this can be considered as the starting of so called nationalist politics in Assam which never tried to solve the problem peacefully rather nourishes it to protect its vote bank. The strongest point of these parties is to show Tripura’s situation. They emphasize on the fact that because of Bengali immigrants Tripuras have become minority consisting 30% of the state’s total population. Making the Assamese people afraid of deprivation and being minority is the base of these parties “fear politics”. From then the language became an important parameter for making sense of a distinct identity and in opposing the post-colonial Assamiya hegemony within Assam. This was why the census of 1991 registered a high growth rate of the speakers of tribal languages in Assam. Consequently, the number reporting as speakers of Assamiya declined from 64 percent in 1951 to 58 percent in 1991. It is definitely undeniable that the accuses of the nationalist parties are “obvious false”. In 1971, during Bangladesh’s liberation war, almost 10 million of people left Bangladesh as refugees of whom almost one third went to Assam and Tripura. While Bangladesh has stated always that the refugees who took shelter in Assam in 1971 came back after the liberation. But the pedantic nationalist parties of Assam like AASU (All Assam Students Union), AGP (Asom Gana Parishad) claim that the reason behind increased Bengali speaking people is migrated ” Bangladeshi” people and their claim has not been raised recently. From 1979 to 1985, they led a severe violent protest against then the central government. This at last reached to an accord, named the Assam accord, where the cutoff date was fixed on 25 March, 1971. 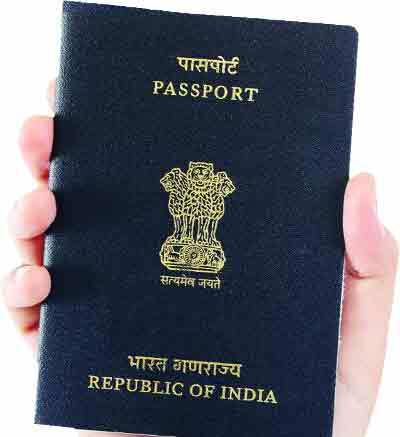 Before 25 March of 1971, who migrated to Assam will not be considered as foreigner. 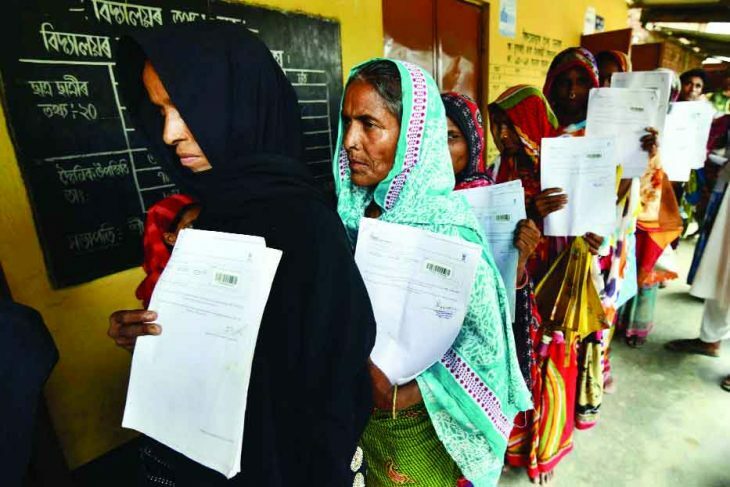 Now, when the controversy about Bengali immigrants has come in front, AASU and parties like it claim that the number of immigrant Bangladeshi Muslims has been rised to almost 4 million people who have not been enlisted in the National Register of Citizens (NRC) in India. Behind their claim they show the increased percentage of Muslims in Assam. The percentage of Muslims in Assam remained steady at 25 percent for the entire period between 1941-1971 and increased to 28 percent only in the 20 years between 1971-1991. (There was no census in Assam in 1981 due to violence in some areas.) It is commonly held out that the decadal growth rate of Muslims in Assam at 77 percent in 1991 is higher than the all India Muslim growth rate of 71 percent and that such growth rate is ‘abnormal’ and result of migration. But contrary to their claims, researchers say that the Muslims have the highest Total Fertility Rate (TFR) among all other religious groups in India. Besides, a look at the growth rate of Muslims in the other Indian states disproves the nationalist parties claims outright, with eight Indian states including Kerala, Lakshwadip, West Bengal showing a higher growth rate of Muslims and three others showing a similar growth. It is reasonable thus to suggest that Muslims have had a higher growth rate in all over India and this is not a phenomenon peculiar to Assam. Demographers believe that poverty, illiteracy and social backwardness are directly linked to significant population increase, and hence it is natural for the population of the settlers, who have been settled in Assam from 1905 to 1971, have increased at a rate higher than some adjacent communities. It was after the Partition of India and the failure of Muslim league to include Assam in newly formed Pakistan, the Muslim league ordered the migrant Muslims henceforth to declare Assamiya as their mother tongue during census counts rather than Bengali. This appeal was, however, accepted by a community that was essentially an oppressed and landless group with little dignity in society, looking for survival anyway. So the Muslim community was compelled to declare themselves Assamiyas in the census of 1951, and over time seem to have genuinely become committed to their new identity. Meanwhile, the Assam Sahitya Sabha, champion of Asamiya culture and language, itself began to encourage the mergering process of these people into the broader fold as “Na Assamiyas ” or New Assamiyas. This ‘merger’ served the Asamiya interest mostly in two important ways: one, for the first time, the Assamiya speakers became an absolute majority within Assam. This majority status was remaining unchallenged for decade including the enactment of the Official Languages Act, 1960. This was possible only because of the Muslims settler’s support to the agitation for such an enactment. Two, the electoral support of the Muslim settlers provided Assamiya leaders with a safe route to political power, which was essential for the retention and expansion of Assamiya hegemony over Assam’s diverse peoples. Presently when the fundamentalist politics gained over the region then it portrayed the Muslims of Assam, who have been living there for generations, as alien. 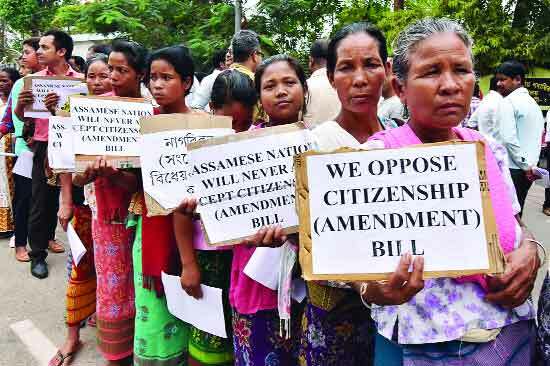 To serve its purpose the ruling BJP-AGP coalition government in Assam has passed a citizenship bill in centre which will allow the illegal Hindu and other religious groups except Muslims to be legal citizen of India. Now naturally the question comes in front that all these charades are only to deport Assam’s Muslim community? If so, what will happen to these large number of people who are to be stateless? As Assamese nationalist parties always claim that these immigrants are from Bangladesh and they have to be sent to Bangladesh, what will be Bangladesh’s step? Bangladesh already has been suffering much because of more than a million of Rohingya people who have to flee from Myanmar. The existing problem has not been solved yet. Now if another 4 million people is to be pushed in Bangladesh, Bangladesh should be very careful. The problem is not anymore on the round table of politics. 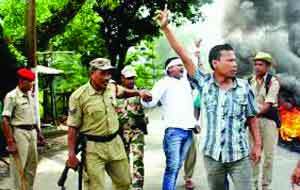 This has been sent to the court and the court’s verdict has gone in favour of the nationalist parties of Assam. So, if the problem can’t be solved in a tactful, peaceful and diplomatic way, then the relations between Bangladesh and India will be worsen which effects may in turn fall upon the economic and other sectors on both of the countries. And this will not bring good for any of the parties. Henceforth, it is on Bangladesh government to discuss the issue with Indian government and if necessary, reach to the international organizations to stop another humanitarian catastrophe. Besides, India should reconsider to make any move which can affect its economy as Bangladesh is one of its products’ best markets. Most of all, the sacred constitution of India makes India a secular country and now it’s upon India to prove this and to make people free from any form of “fear politics”.